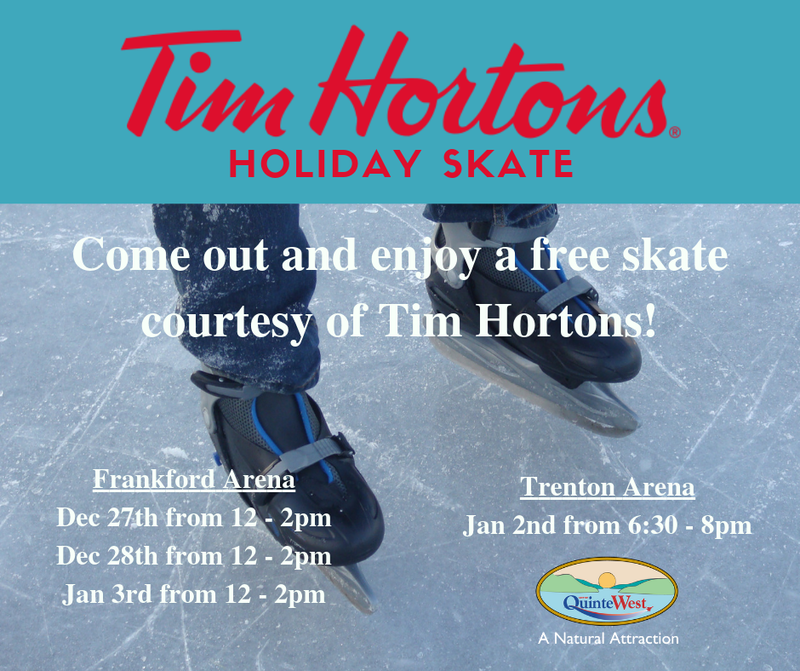 Come out and enjoy a free skate courtesy of Tim Hortons at the Frankford Arena from 12 pm – 2 pm on December 27 & 28 and January 3. There will also be a free skate courtesy of Tim Hortons at the Trenton Arena (Duncan McDonald Memorial Arena) on January 2 from 6:30 – 8 pm. Bay of Quinte Region is an alliance of interdependent communities, bound together by a common history, shared economy, and the water that surrounds and defines us. We hope to welcome you soon.